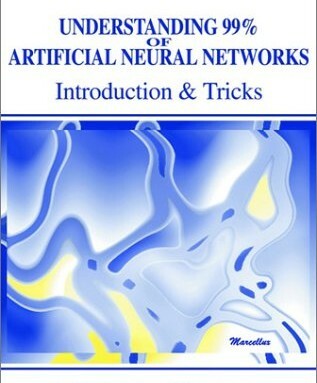 An easy to read guide to understand Artificial Neural Networks and other Artificial Intelligence subjects. We have made it EASY, CONCISE and PRACTICAL for you. There is a deep desire in men, in order to reproduce intelligence and place it in a machine. Neural Networks are an attempt to reproduce the synaptic connections of our brain in a computer. Duplicating the way we use our neurons to think in a machine, it is expected to have a device that could be able to do “intelligent” tasks, the ones reserved just to humans some time ago. Neural Network are a reality now, not a fantasy, and they have been made in order to recognize patterns (a face ,a photograph or a song, are patterns) and forecast trends. I have seen many books about this subject in my life. All of them are hard to read, and tedious to learn, so I decided to make my own one. For beginner readers, I have tried to use a simple language, in order to be understood by anyone who wants to know about nets. An easy to read, practical and concise work. If you are interested in the brain functions and how can we simulate it in a computer, you’ll get here a different way to penetrate into their secrets.For advanced readers who want to make their own nets, I have included a methodology for building neural networks and complete sample computer source-code with tricks that will save you a lot of time while designing it.